To see something on video, you need light, right? Well, not necessarily. While most of the time you will need light available in order to see what your security cameras are capturing, that isn’t the case when you employ thermal cameras. These cameras see temperature, so they are able to differentiate between various objects in their field of vision. What that means for your job site is obvious – even if criminals think they are working under the cover of darkness while stealing from your company, the thermal cameras you have in place will actually be seeing their every move. Criminals love to work in the dark, as they feel it is their best chance to avoid detection. This is why night time at a construction site can be such a dangerous time in terms of theft and vandalism. Once the sun has gone down and the workers have gone home for the day, thieves like to get started on their ‘work’. However, with the right security system in place, including thermal cameras, you can thwart their best attempts. You certainly don’t want to have the police called to report to your job site for a theft in the middle of the night, only to find that it is actually a cat or dog wandering across the property. With a quality thermal camera system, you will be able to differentiate between people and animals (or vehicles) much better than you could do with a simple motion detector. Not all motion in the middle of the night on a construction site is criminal activity, so it is important that your system knows the difference. In addition to creating a headache late at night, false alarms can also cost your business money, which is an even greater incentive to avoid them if at all possible. Many construction sites are laid out over several acres or more, meaning there’s a lot of ground to cover with cameras. While you are obviously going to want to cover the areas where the high-value items are stored, you also want to get a good look at the perimeter to spot signs of trouble. Thermal cameras are great for increasing range without having to install an excessive amount of cameras all over the property. 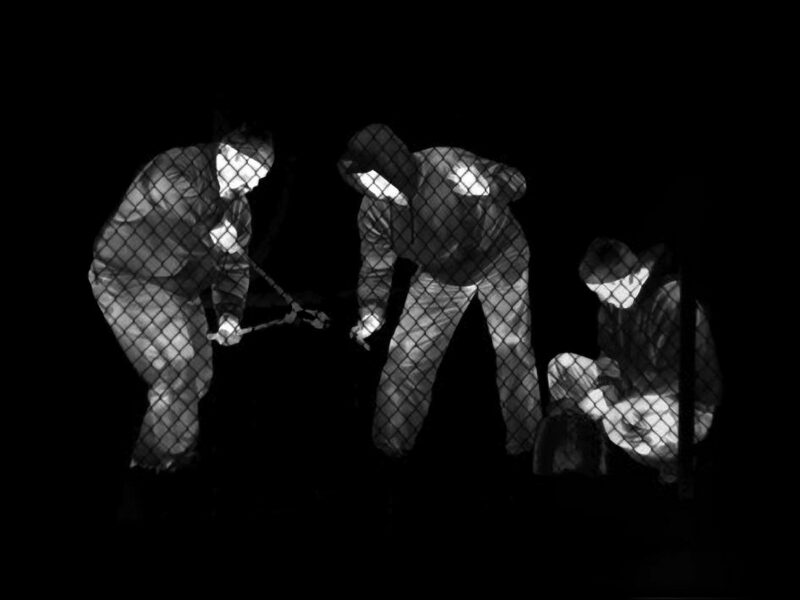 Since thermal cameras detect heat signatures, they can see through bushes and other obstructions making them ideal for perimeter security.